The debt crisis that hit US and Europe are well behind us now. Macroeconomic policies have been under a microscope for much needed improvement and revisions taking from the lessons of the debt crisis. It has highlighted the fact that while each individual is ultimately responsible for his financial obligations, sometimes the dire economic conditions make it worse. In solving your debt woes, passing the debt around does not make it go away and even snowballs into adverse affects for your credit score and amount owed. This is most true for credit card problems that is why there are already experienced companies offering great solutions in addressing credit card debt. These companies offer different courses of action that has proven to be successful in getting out of revolving debts. Hiring a debt professional will get you the best results but if you are not comfortable with the fees associated with their service, you can conquer your debts on your own. It will be very difficult and it will entail discipline on your part. Paying off your debts and getting your finances in shape is usually likened to someone trying to lose weight. You work hard in the beginning , regulating what you eat, exercising regularly and keeping tabs on your progress. The same is true for your debts. You need to regulate your spending habits, pay off your debts regularly and monitor your progress and expenses to make sure you stay within your budget. 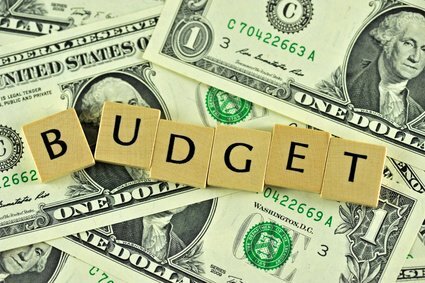 Before you begin, you need to come up with your budget plan. This involves looking into your income, your expenses, and the total debts that you owe. You need to check where you can save more on your monthly expenses. You can opt to carpool with colleagues to save on gas instead of bringing your own car. Another way to save is to cancel some membership fees that you can live without. The goal is to increase the extra money from your income to possibly increase your debt payments while leaving a few to save for your emergency fund. This of course, is the ideal scenario. The worse case scenario is having no income or not having enough to cover for your expenses and the minimum payments of your credit card debts. If you are in this situation, it will be very difficult for you to handle things on your own and still come out with your possessions. You may be forced to declare bankruptcy. It is best to enlist the help of a debt professional to negotiate for a debt settlement with your creditor. There are several methods to increase your income like selling some of your assets to help pay off your smaller debts. You can talk to your creditors, tell them your situation and express your sincere intention of paying them back. Believe it or not, these people do not like going to court as much as you do. If you can prove you are in a dire financial situation, they may be able to give you an easier payment scheme with a longer term. But if your income can cover for everything, then your next step is to rank your credit card debts and see which should be prioritized. To succeed, you need to stick to the budget plan that you can created for yourself. It is also necessary for you to come up with a payment plan that will encompass all your debts. There are two ways to approach this. One is to pay for the high interest rate debts and the other is to prioritize the ones with the smaller balance. To know more about the two different approaches to pay down debts, click on this link. Just like working on your ideal weight, even if you have paid off your debts, you need to continue to curb your spending habits. You need to continue to discipline yourself in the same way you would continue on your healthy diet to maintain your ideal weight. Of course, you can save yourself the aggravation of handling everything yourself. Hire a debt relief company to assist you. National Debt Relief is a debt management company that can work with you in settling your debts. Give us a call and we will be happy to discuss the different debt relief options that you can opt for. You can also fill out the short form on this page and we will have someone get in touch with you as soon as possible.